Whether you are in the market to buy or sell property, you've come to the right place. By working with me, a local Realtor, you get a qualified professional who is dedicated to you, will always be looking out for your best interests, and striving to make the process of buying or selling real estate a pleasant experience. To enjoy recreation, history, and adventure in a relaxing environment, I invite you to explore the Northern Neck and Middle Peninsula of Virginia with me. 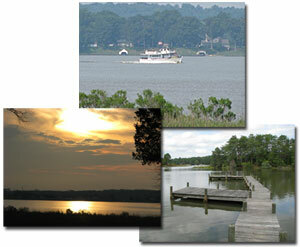 Both areas offer exceptional waterfront homes, inland homes, farm homes, historic homes, land, and commercial property. 1. Work to sell your property at the best possible price in the shortest possible time. 2. Market your property using area news media, publications, Multiple Listing Service, and Internet. 3. Show your property and keep you informed. 1. Listen to your needs and research all area available properties. 2. Present and show properties you choose. 3. Assist you in all phases of the buying process through closing. If I can help, please click Contact Me and call or send me an email today! Thank you for visiting! If I can help, please click Contact Me and call or send me an email today!